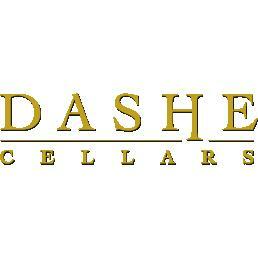 In 1996, the husband and wife winemaking team of Michael and Anne Dashe founded Dashe Cellars. Focused on crafting exceptional single-vineyard wines, Dashe Cellars blends the two winemaker's combined 40-plus years of experience at such noted wineries as Château Lafite-Rothschild, Château La Dominique, Ridge Vineyards, Cloudy Bay, Far Niente, Chappellet, and Schramsberg Wine Cellars. Drawing on this wealth of experience, the Dashes create vineyard-focused wines that capture the complexity and character of top vineyards throughout Sonoma County and beyond. At Dashe Cellars, Michael and Anne are committed to creating wines that reflect the unique soil, climate and regional characteristics of world-class vineyards. Focusing on older vines, steep hillside locations, rocky soils and stressful growing conditions, they work closely with their growers to ensure careful vineyard management and low yields. Building on the gentle, authentic winemaking approach that has helped to define Dashe Cellars. Since its inception, Michael and Anne extended the boundaries of their natural winemaking philosophies with the creation of their first Les Enfants Terribles wine in 2007. Wines in the acclaimed Les Enfants Terribles series are made from special vineyards--often organic, biodynamic, or sustainably farmed--and are created in a more classic "Old World" style, spotlighting the delicacy that comes from cooler climates, lower alcohols, the judicious use of oak, and minimal handling. In Eric Asimov's latest edition of Wine School he invites you to drink Zinfandel along with him...Eric selected the 2012 Dry Creek Valley Zinfandel from Dashe Cellars as one of his three recommendations for this month's assignment. He writes that Dashe "gravitates toward a fresher style." Wine Enthusiast 92 "A blend of five vineyards, some of which go into single-vineyard designates, this is a well made, structured wine, offering layers of black cherry and subtle earth around soft, velvety tannins. The finish highlights black pepper spice with dark chocolate chaser. — V.B.